To be brutally honest, the first thing I noticed about this game when I imported it from the Japanese eShop was just how horribly basic it looked. Ugly 3D textures, weird, space-ish backgrounds and more cover every level of this game. Despite this, the menus are still really easy to navigate, which made most of it import-friendly for a while before the I got the english version I’m covering today. When it comes to the sound, the music is just OK at best, sounding like it’s trying way too hard to start an ultra epic rad dance party at times, even though it’s during the middle of a plain-looking level. The sound effects also get the job done, although I will have to say that the sound effect for striking an orange, gooey block sounds really, really strange in a way I can’t quite explain. The main objective of each single player level is to aim the ball on the left side of the screen and fire it into the white cup, however many times that particular level requests you to do so with your stock of fifteen balls. Accomplishing this task will require adjusting the angle and speed of the ball accordingly so you can accurately aim and bounce it into the cup while many hazards try to impede your progress throughout the eighty levels this game has to offer. You have the option of choosing between touch controls and button controls for the task with a press of the Y Button, and I found myself preferring the button controls a LOT more, since swiping with the touch screen adds a lot of random factors to the mix that make it hard to aim accurately, (Which is required if you want to obtain the green stars found in each of the levels) while also just being a terrible control scheme overall. If you’re just after clearing every level normally, you won’t be spending too much time with this game, as I was able to complete thirty levels in a row while I was watching a fifteen minute youtube video, and with only eighty levels in the game, this means that you could easily beat every single level in over an hour. That’s where the green star objectives come in, as each level has three bonus objectives for you to tackle for true 100% completion. These can range from very simple goals ranging from “Shoot into the yellow cup that’s harder to reach than the white cup” to pretty tough challenges such as “Bounce off this slanted platform multiple times and have the ball land in the white cup without falling.” Some levels also require that you play them multiple times in order to get every star, as some levels simply won’t let you earn every star at once. There’s also a Score Attack mode, which repeats the levels used in the main game mode while tasking you to score as many points as possible, but it’s a rather useless mode since there’s no leaderboards of any sort. All in all, the game is a very basic and run of the mill physics game, but it does have one nifty feature that manages to make a smart use of the Switch’s multiplayer capabilities, and that comes from the 2P versus mode. In this mode, you and a friend fight to shoot as many balls as possible into the cup, activating powerups to impede the other player’s progress by blocking them with a barrier, ink that obscures the strength bar, or allowing for a multiball shot. Yes, it is a local multiplayer mode only, and there aren’t too many levels to tackle in this mode, but me and my friend Paul actually had a lot of fun with this mode for a good ten minutes or so, due to the hectic nature of some of the maps. It’s not something you’ll spend hours and hours on, however, so this isn’t the ideal multiplayer game by a long shot. In conclusion, Super Ping Pong Trick Shot is a fun little physics game with a decent local multiplayer mode. There’s not much to this game outside of completing every single player level and their optional objectives, along with trying out the hectic multiplayer mode with a friend, so you’ll get a decent challenge out of it that’s well worth the $5 price tag. What the game fails to do with the visuals it makes up for with fun, simplistic gameplay that’s perfect for portable play, but not much more. I give Super Ping Pong Trick Shot a 6 out of 10. 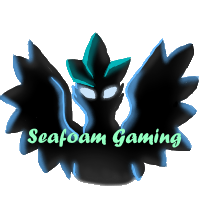 Previous Emergency Seafoam Gaming Status Update!